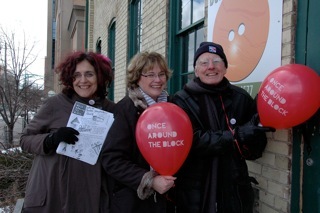 The Button Factory, officially the Waterloo Community Arts Centre, is the new home of the Baden Storytellers’ Guild. The WCAC exists to promote all forms of art programs in the community including: performances, classes, workshops, special events and art exhibitions. The WCAC offers programs for children, youth, adults and seniors of all artistic disciplines and level of achievement from amateur to professional at affordable costs. Joseph Schneider Haus Museum and Gallery is a dynamic community museum in downtown Kitchener. The heart of the complex is the fine Geospringhouse.jpgrgian frame farmhouse built by one of the area’s first pioneers, Joseph Schneider, a Pennsylvania-German Mennonite. A local landmark and Kitchener’s oldest dwelling, the c. 1816 homestead was restored and furnished and opened as a living history museum in 1981. Waterloo Region Museum is the gateway to Doon Heritage Village. See the new museum building and stroll the picturesque living history village with the whole family. Exhibit galleries in the museum building opened in late 2011 for you to explore. The museum building includes more than 20,000 square feet of long-term and temporary gallery space. Storytellers Canada – Conteurs du Canada is a national organization which supports the art of oral storytelling through its storytellers and its story listeners. It is one of 17 National Arts Service Organisations (NASO) of the Canada Canada Council for the Arts (CCA). Among its projects are Story Save: Saving the voices of the elders, one story at a time. Storytelling Toronto supports creative work in the art of storytelling. They offer courses for storytellers at all levels; promote and subsidize the work of storytellers in education; publish Pippin, a quarterly newsletter, and produce the Toronto Festival of Storytelling.